Patients with one or both arches of missing teeth benefit from custom dentures offered by our Fresno dental practice. Dr. Jack Oberti provides his patients the options they need to restore and sustain their oral health and smile function. When attached to dental implants, our custom dentures can be removable or a fixed, ensuring a renewed smile no matter what sort of denture you require. Your dentures can be both comfortable and aesthetically pleasing. To learn more about teeth replacement in Fresno, contact our practice for a consultation. Our Fresno dentist has worked with the same trusted denture lab for almost 40 years. 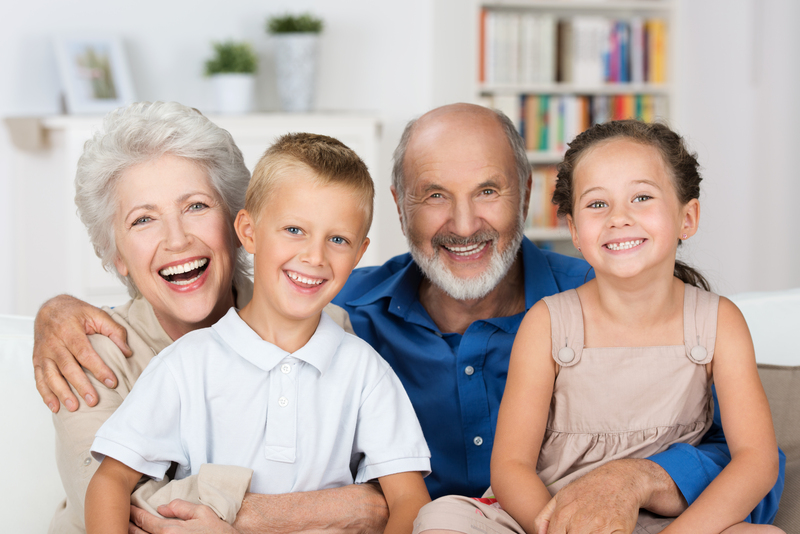 With their extensive expertise, patients receive individualized, dependable denture services that focus on creating a comfortable and beautiful denture. As an affordable option for teeth placements, denture treatment in Fresno helps patients who are missing whole rows of teeth, or with groups of tooth loss. Full-Arch Teeth Replacement – As the traditional solution for patients missing whole arches of teeth, it is also a cost-effective option. The prosthetics adhere to both upper and lower arches through suction created by the palette, holding your new appliance in place. You may also purchase over-the-counter adhesives for a sturdier fit. Dentures are a non-invasive option and can be customized to your needs. Partial Dentures – Supported by a metal framework that hooks around surrounding teeth, partial dentures are perfect for patients who are missing groups of teeth in their smile. At your denture services consultation, Dr. Oberti will go over your options, whether you need immediate or conventional dentures, and how long your treatment will take. Since your prosthetics are custom, you may have a number of appointments before the final dentures are placed in your smile. We do this to ensure your prosthetics fit perfectly with your smile and your aesthetic expectations. Dr. Oberti, his dedicated staff, and trusted lab technicians are dedicated to providing teeth replacement options with custom dentures and partials in Fresno. For patients with existing dentures, and who are looking for a way to stabilize them, our dental office provides full arch dentures supported by dental implants. This permanent solution to missing teeth and sustaining the health of supportive structure like your jaw bone. Dental implant posts act like fake teeth, which are placed by a trusted oral surgeon in the area, and we invite patients back to our Fresno practice for their custom dentures. Retained using special attachments, your dentures supported by implants improve stability and bite function. Schedule a Denture Consultation Today! You can smile with confidence with teeth replacement options like traditional dentures and partials. Contact the practice of Dr. Jack Oberti to learn more about our options for dentures, partials, and implant-supported dentures in Fresno. Schedule a consultation today!